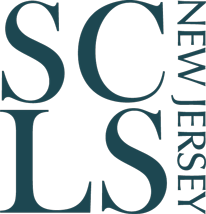 In partnership with the National Endowment for the Humanities (NEH), SCLSNJ will be collecting, cataloging, and preserving the collective memories of Somerset County residents. Utilizing a suite of digitization equipment including high resolution scanners, a lightbox, a digital single-lens reflex camera, and more; and the expertise of SCLSNJ’s archival and historical librarians, the Library will be providing residents the opportunity to both preserve and learn about their own history and that of their neighbors. If a resident has a more robust collection of historical items that they wish to digitize, that patron should make a one-on-one appointment with the library by emailing CommonHeritage@sclibnj.org. If a patron wishes to share an oral history of a historic and/or life event, short recorded interviews can be arranged. SCLSNJ will make these collective memories available for research and use for future generations by contributing digitized items to Rutgers University’s New Jersey Digital Highway, by making them available in our library’s online catalog, and by submitting them to the Digital Public Library of America (DPLA). SCLSNJ’s Common Heritage initiative has been made possible in part by a major grant from the National Endowment for the Humanities: Exploring the human endeavor. Any views, findings, conclusions, or recommendations expressed in these Library programs do not necessarily represent those of the National Endowment for the Humanities. Will you need a special accommodation (including food allergy if applicable to the program)? If so, please contact the library and provide at least two weeks notice prior to the event date and the library will make every effort to honor all requests. Thereafter, requests will still be considered and may have less of a chance of being honored.